Fraudsters and con artists are targeting seniors to a greater degree than ever before, and it is important for elders and those who care for them to be aware of common scams and increase their vigilance against them. While anyone can fall victim to a thief, seniors are more at risk. Scammers target the elderly because, having grown up in a simpler era, they may be more trusting, and because some seniors may develop cognitive issues, such as Alzheimer’s disease, that prevent them from detecting an attempt at fraud. One of the most common scams is the telephone call announcing that the person answering the phone has won a sweepstakes prize. To claim the prize, the “winner” need only send money to pay for “taxes” or other fees. Con artists often represent themselves as being from Publishers Clearing House, a well-known sweepstakes firm. Actual prizes from Publishers Clearing House never require the winner to pay taxes or fees up front. Identity theft is also on the rise, with the Federal Trade Commission receiving more than 279,000 reports in the past year. The actual number of identity theft cases could be much higher, as many victims are simply too embarrassed at having been fooled to report the crime. Once thieves obtain a victim’s social security number and other identifying information, they can gain access to bank accounts and credit card information. Some victims have lost tens of thousands of dollars, wiping out their life savings. It can be difficult to prosecute the thieves, as many of them are located overseas, and it is even harder to recover stolen funds. For seniors and caregivers worried about theft, there are fraud protection services available from a number of companies that charge a fee to monitor bank accounts, credit cards and credit ratings, and alert the customer to any suspicious activity. However, these services can usually only identify dangerous activity after it has already taken place. It is even more important to simply take care to protect personal information and be wary of any unknown person attempting to obtain it. 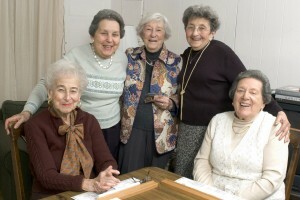 For more information about our elder law services, visit www.littmankrooks.com/elder-law/ or www.elderlawnewyork.com.